Metal-insulator-metal (MIM) capacitors have been widely used in the fields of radio frequency (RF), dynamic random access memory (DRAM), and analog/mixed-signal integrated circuits. With the scaling down of the device feature size, it is desirable to obtain an ever higher capacitance density. For example, the capacitance density is required to be greater than 10 fF/μm2 according to the 2020 node of the International Technology Roadmap for Semiconductors (ITRS) . 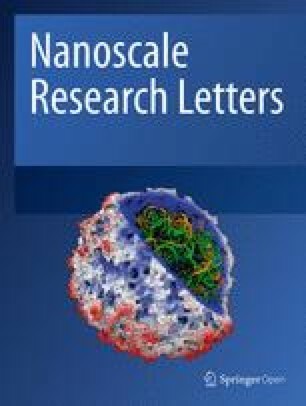 As a consequence, a large number of high-κ materials have been investigated, such as HfO2 [2, 3, 4, 5, 6], ZrO2 [7, 8, 9, 10, 11, 12, 13, 14], Ta2O5 [15, 16, 17, 18], and TiO2 [19, 20, 21, 22, 23, 24]. 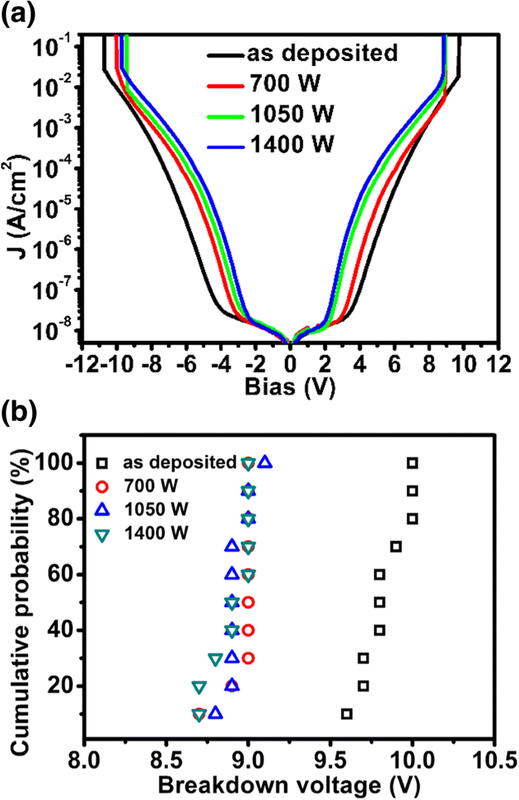 Among these high-κ materials, ZrO2 has a dielectric constant (κ) of 16~25 (monoclinic phase) and a bandgap of 5.8 eV. 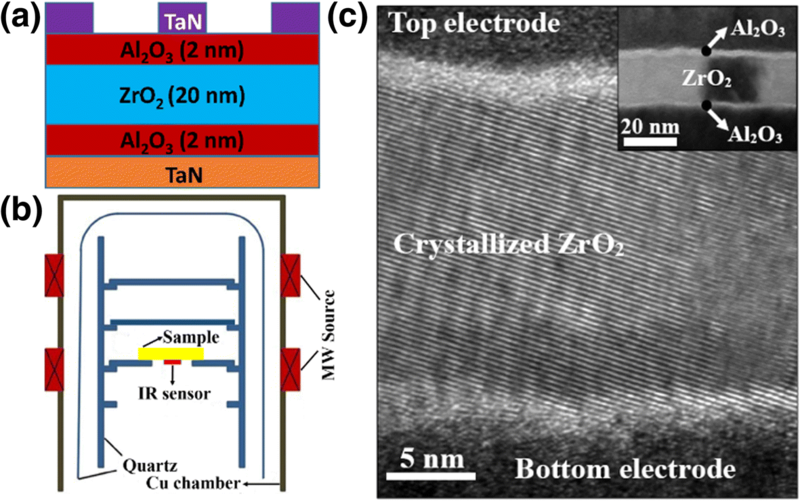 However, the κ value of ZrO2 can be enhanced to 36.8 and 46.6 when it is crystallized into cubic and tetragonal phase, respectively . Hence, the capacitance density can be further increased. 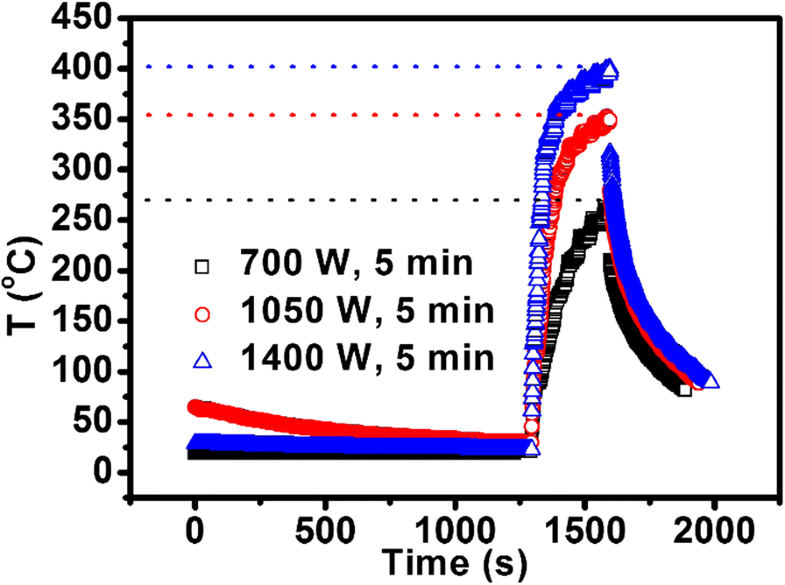 The microwave annealing (MWA) technique has been tremendously explored for the dopant activation in silicon [26, 27, 28] and the silicide formation [29, 30] due to its lower process temperature compared with conventional thermal processing techniques. In addition, Shih et al. 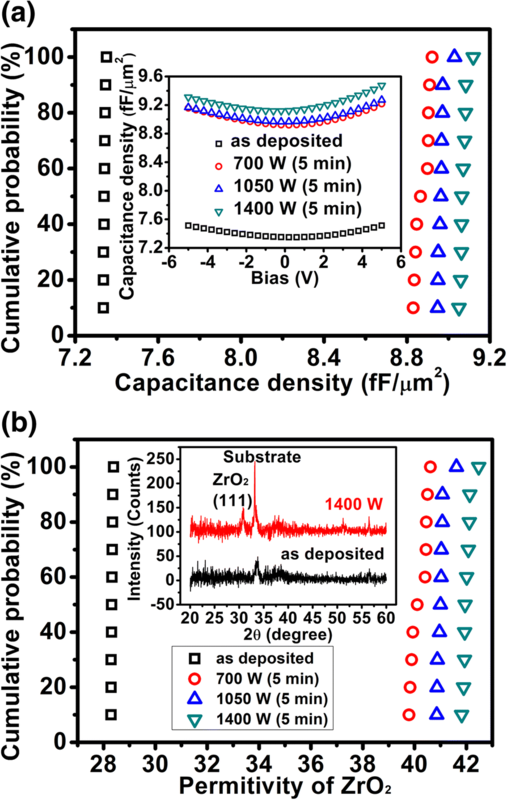 investigated the effect of MWA on electrical characteristics of TiN/Al/TiN/HfO2/Si MOS capacitors. 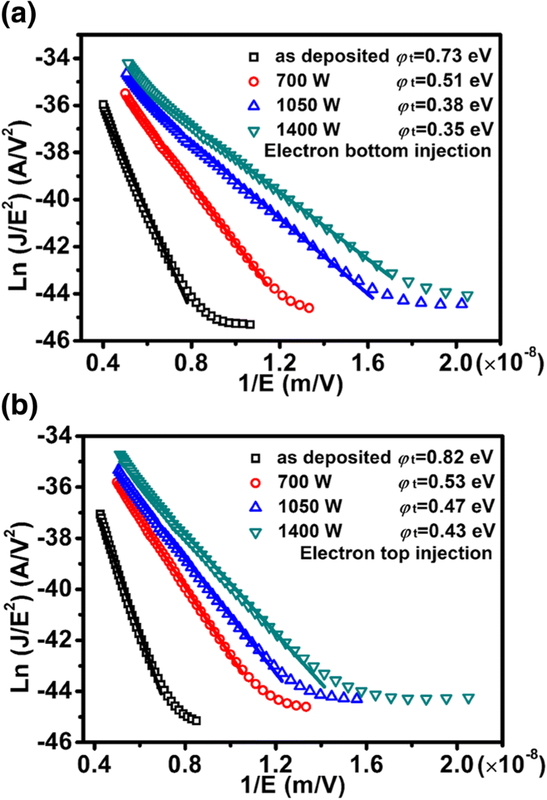 Some key parameters such as equivalent oxide thickness, interface state density, and leakage current density were all improved.